Have you got any idea of what is hot in winter 2015? Yes, the coats. All women should have a stylish coat in their winter wardrobe, because the coats not only function well to keep women all but also give them a nice figure. For this season, all fashionistas should have a try with the stunning red coats. They are the most effortless fashion pieces for winter 2015. Wherever you go, the bold color puts you into the focus position of people’s attention. As fashion goes on, winter shades are not merely confined to the dull dark colors. More and more women began to put on colored coats for a fresher look. 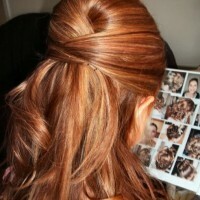 It’s time for faddish women to refresh their looks with some bold colors. A simple red coat is all you need to go through this chilly winter with a comfortable and chic look. As your personal stylist, we are always here to offer you the best fashion trends. 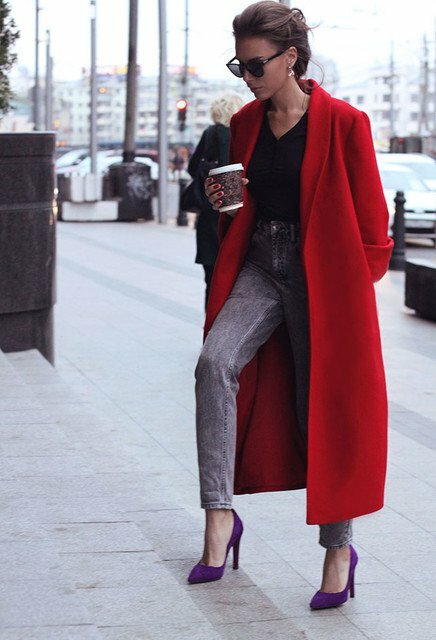 In order that you can wear your own red coats in a more trendy way, we have rounded up 13 of the best red coat outfit ideas for you. 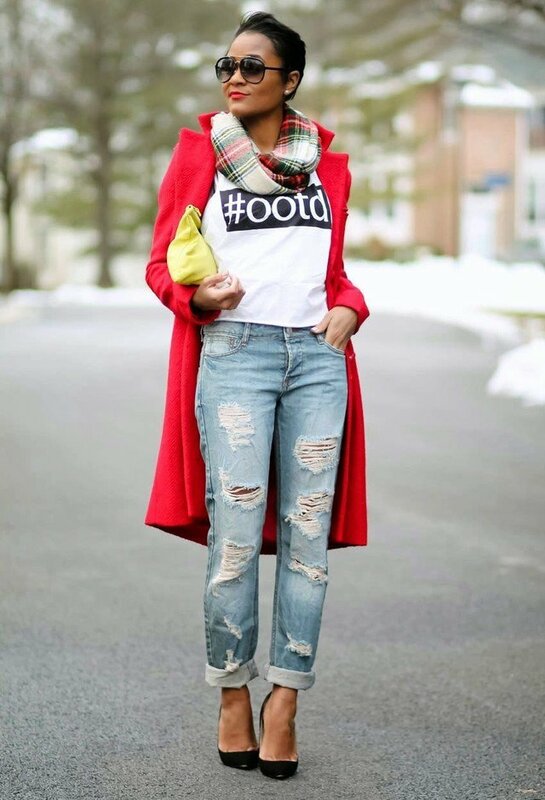 You can wear a pair of flat sneakers and ripped jeans to pair the red coat so that you can get a casual-chic look. Or you can make a more stunning combo with a pair of leather pants and stylish high heels. Here are more fantastic ways to make a faddish red coat outfit. Now check out the pictures below and get yourself inspired. Enjoy!